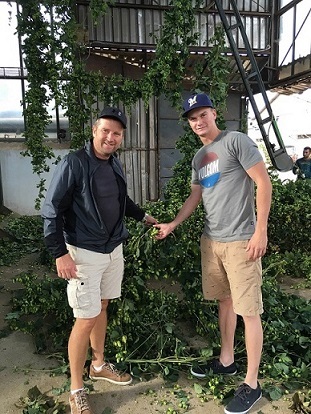 Every year also representatives of craft breweries visit Top Hop Group to see hop harvest. Fresh hop cones became very popular for dry hopping. Photo from the visit of Matuška brewery.